Is there any evidence linking honey bee deaths and pesticides? Certainly, concerns have been raised about a relative new group of pesticide: neonicotinoids, and another systemic pesticide, Fipronil. I decided to take a look at some of the research myself, in order to provide a simple, easy-read summary of the findings. You can now read these summaries on a separate page here (opens new window). You can also download a few studies. See my Pesticide Bibliography. There is certainly a lot of research out there, and summarising all of the research would take me forever, so please note, this is only a small number of studies, and more research continues to be released. Instead of attempting to continually summarise the latest scientific studies, I also decided to provide links to further information of related interest. As I state elsewhere on my site, there are also other issues implicated in bee declines generally, such as habitat loss. Clicking on any of the following links opens a new window. Note: Due to some links no longer working, some pages and information will now have to be googled. Very comprehensive website summarising many resources in English, Dutch, and German. With regard to the UK Environment Audit Committee, their conclusions and report, drawing on a range of evidence. Website of the European Beekeeping Coordination. They have a section on the issues of pesticides and also honey bee deaths. This report looks at industry influence over regulation affecting bees, with reports that may be downloaded in English, French and Spanish. Honey Bee Deaths - Do They Matter? If honey bees are not native to your country, do you need to worry about honey bee deaths and colony collapse? 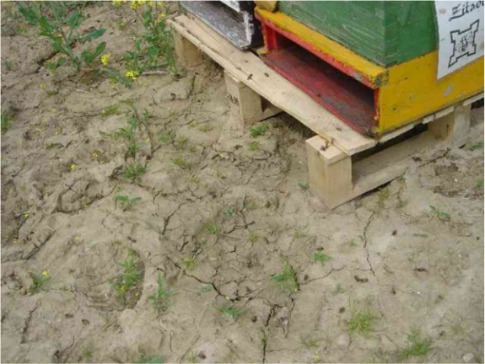 Take a look here: Honey Bee Deaths: Why Do They Matter? In the USA, the NRDC filed a law suit in order to gain access to documents concerning the toxicity of pesticides to bees. Read more in this article: EPA Buzz Kill: Is the Agency Hiding Colony Collapse Disorder Information? Many have heard about this film. Visit the website, and view a film trailor here. In this report, Warren Jones, then President of the Crop Pollination Association Inc (Australia) discusses the crop pollination industry. There are some interesting observations with regard to neonicotinoids. There are a number of reports, including a comprehensive review of many scientific studies written in 2009. Buglife is a respected UK invertebrates conservation charity. This link opens up the most recent Imidacloprid Fact Sheet revised from the original version in April 2010. - Imidacloprid is slightly toxic to fish and moderately toxic to aquatic invertebrates. - Imidacloprid is highly toxic to bees and should not be applied to vegetation when bees are foraging. - Imidacloprid has been found to be highly toxic to the house sparrow, moderately toxic to upland game birds, and slightly to not toxic to waterfowl. - Imidacloprid appears to repel birds when used as a seed treatment. - Imidacloprid is moderately toxic to earthworms. There is much controversy around the neonicotinoid Clothianidin, believed by some to be implicated in some of the incidences of honey bee deaths and declines. It transpired that the EPA had allowed marketing of the product, despite acknowledging that data provided by Bayer Cropscience to support registration, did not meet regulatory requirements. Find out more on this site belonging to PAN North America. You can also view the the EPA leaked Clothianidin document. Beekeeper, Tom Theobald made some comments on the EPA response to this affair. Read more here.